Is multilingualism a reality in Europe? In which EU country do they speak more languagues?  Discover those aspects in the following article. Europe is a region well known for its linguistic diversity and high degree of multilingualism among its citizens. There are 23 officially recognised languages and more than 60 indigenous regional languages. Then on top of this you have many non-indigenous languages that are spoken by migrant communities across Europe, as stated by the European Commission in its comprehensive report on “Europeans and their Languages” from 2012. Surely, with so many languages in play, how do you decide when and where translation is feasible, and when it’s not? Below I’ve compiled a few insights into how Europeans use and perceive languages, which are taken from the abovementioned report, commissioned by the European Commission and carried out by TNS Opinion & Social Network in the 27 Member States of the European Union. According to the report, 54% of Europeans are able to hold a conversation in at least one other language than their mother tongue, one in four speak two languages in addition to their mother tongue, and one in ten are conversant in three or more foreign languages. While that’s a lot compared to the global average, almost half of the region’s 740 million large population are monoglots (people who speak only one language). Moreover, when respondents were asked if they knew any foreign language well enough to communicate online, that number dropped to 39%. In other words, less than two-fifths of Europeans speak a foreign language to a level that enables them to communicate and engage online. 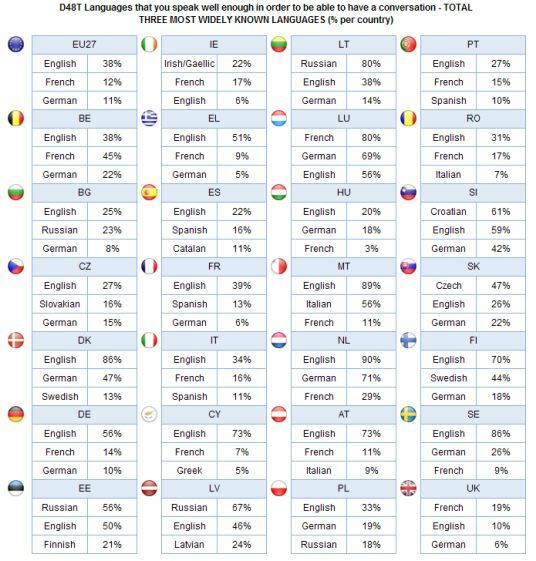 For English specifically, the by far dominating foreign language in the EU, that number is 26%. When you add to this that previous research has found that a whopping 9 in 10 Europeans prefer surfing the web in their native language, the amount of missed opportunity by having your website in, say, English only becomes very apparent. Which are the 3 most common foreign languages in each Member State? In 19 out of 25 Member States (excluding the UK and Ireland), English is the most widely spoken foreign language. Not only is English the most spoken foreign language, it’s also perceived the by distance most useful foreign language, with 67% of Europeans naming English as one of the two most useful languages for themselves. This indeed puts it well ahead of German (17%), French (16%), Spanish (14%), and Chinese (6%). French and German are the two most commonly used foreign languages after English; however, the report interestingly finds that, when correlating these findings with those of the equivalent 2005 survey, the perceived importance of knowing French and German have decreased rather notably. Put differently, these languages aren’t considered as useful as they used to be. This is extremely valuable information when considering whether translating a website is economically feasible. For example, it’s plausible that it won’t make that big a difference on your performance to keep your website in English if you’re targeting Dutch consumers, however it surely will if you’re aiming to make inroads in Hungary, Italy or Portugal – just to name a few. 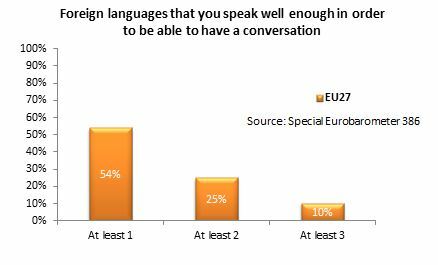 There’s great openness amongst Europeans towards foreign languages; arguably an understatement given that more than 8 in 10 express that knowing languages other than their mother tongue is very useful and that everyone in the EU should be able to speak at least one foreign language. (…) although most Europeans support the notion that everyone in the EU should be able to speak a common language, this view does not extend to believing that any one language should have priority over others. There can be no doubt as to how enormous an impact multilingual proficiency within the EU will have on reaching the proclaimed objective of creating a truly integrated Europe going forward. Its impact on workforce mobility, competitiveness and finally overall economic performance of the Union in a global marketplace certainly shouldn’t be underestimated either. In fact, findings from the report show that there has been a small decrease in the proportion of Europeans who say they’re able to speak a language in addition to their mother tongue, compared to the 2005 survey. This decline is largely driven by notable decreases in Russian and German proficiency in Central and Eastern countries such as Slovakia, The Czech Republic, Bulgaria, Poland and Hungary. Having said that, the report does find that foreign languages are increasingly being used ‘regularly’ on the internet, up 10 percentage points since 2005 and thus marking one of the most notable changes recorded during the period. 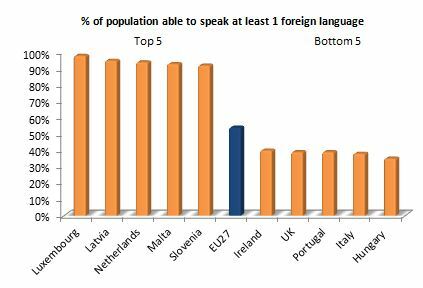 As each Member State is responsible for its own educational and language policies, a truly integrated, ‘common-language-speaking’ Europe seems light-years away. Also, bear in mind that being able to speak a language doesn’t imply that people use it frequently, prefer it over their mother tongue, or actively go to seek out products and services on the web in that language. Hence, the most important thing to be aware of when jotting down your European expansion roadmap is the notion that there’s no such thing as a golden rule, single-language or uniform cultural identity within the region. However, since translating your website into the vast amount of languages that are in use within the region will often be an economical no-go, what you can do is create clusters of countries that share similar linguistic and cultural characteristics, e.g. English website for Holland and the Scandinavian countries, Russian for the Baltics and so forth. Then for countries with a low degree of multilingual proficiency, you’ll have to evaluate whether the economic potential matches the costs of translating your site. Targeting countries like Portugal, Hungary, Italy and Poland with a foreign language will simply be a waste of time, money and effort. While such an approach often won’t put you on even ground with your local competitors from a language point of view, you might be able to benefit from the economies of scale that come along with having an international presence. However, going back to the opening question of where translation makes sense, it should go without saying that the ideal solution will always be to target any given country in its mother tongue. And in many cases it’s absolutely essential to compete and ultimately be successful.